You are here: Virgin Islands News Online » News » Is Ninth District Rep being side-lined by his own NDP Gov't? The Ninth District Representative is Dr The Hon Hubert O’Neal who won the seat left vacant by former Premier and long serving legislator Hon Ralph T. O’Neal OBE at the 2015 General Elections of the Virgin Islands. 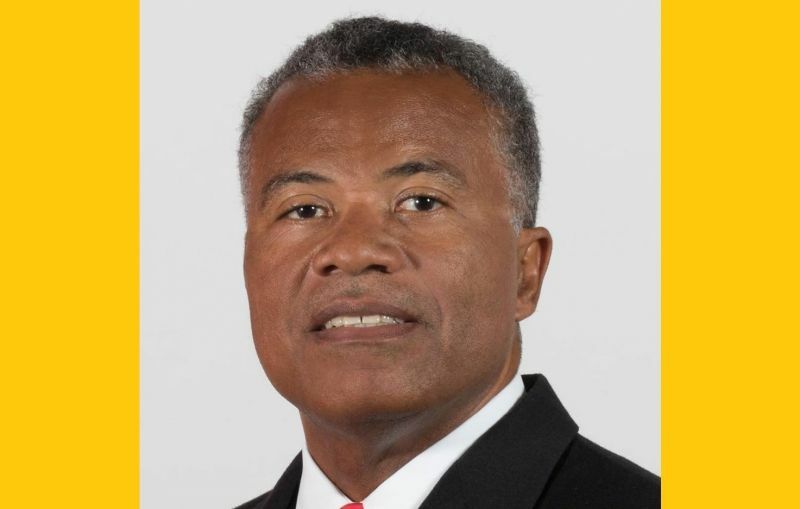 Dr O’Neal overcame his main challenger and Virgin Islands Party (VIP) member and prominent businessman Elton L. ‘All Out’ Sprauve by 669 votes to Sprauve’s 389 votes. Under the former representative, Hon O’Neal, Virgin Gorda saw many developments, including roads, distribution of potable water, the building of schools and other needed infrastructure and services. 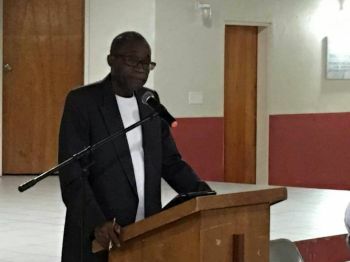 Hon Fraser, speaking to residents of Virgin Gorda at a Public Meeting at the Catholic Community Centre on November 2, 2016 said the shortcomings of any Representative of the 9th District could be blamed on them having the lack of reach and that just a few days ago he was presented with the perfect case. 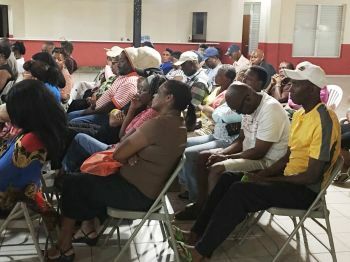 He said a resident of Anegada had copied him in on a letter written to Dr O’Neal complaining about their inability to meet with the Representative after several failed attempts. “I tried to get an appointment to meet with you several times. You have refused to give me an appointment. The times that I tried for an appointment are: #1 Friday February 12th 2016 #2 Wed. February 24th 2016 #3 Wed. April 6th 2016 #4 Wed. June 1st 2016 #5 Wed. July 6th 2016 #6 Wed. Sept 7th 2016, and #7 Friday Sept. 23rd 2016,” the letter to Dr O’Neal stated. Hon Fraser said the sender of the letter had travelled from Anegada to Tortola on each occasion they attempted to reach the representative without success. This letter was post marked October 10th 2016, and Hon Fraser said he called the individual on Friday October 25, 2016. 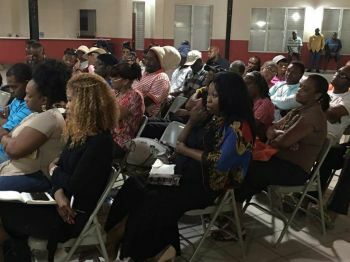 It was noted that in their conversation Hon Fraser was told that persons on Anegada wanted to meet the Representative to complain about what they considered to be unfair distribution of work in Anegada. Hon Fraser added that he has also heard from another source of similar incidents right in Virgin Gorda where the Senior Citizens Home is short on food because the vendors, with one exception, are not prepared to release any more food until they are paid by Government. According to Hon Fraser, the sender of the letter has made a simple request, and that is that the Representative establishes regular office hours on the island of Anegada so his constituents can meet him. “I can here and now state, that the Representative has been asking for resources that would make it possible for him to better serve the people of Anegada, but like I said if his position was different, he would have already gotten it. 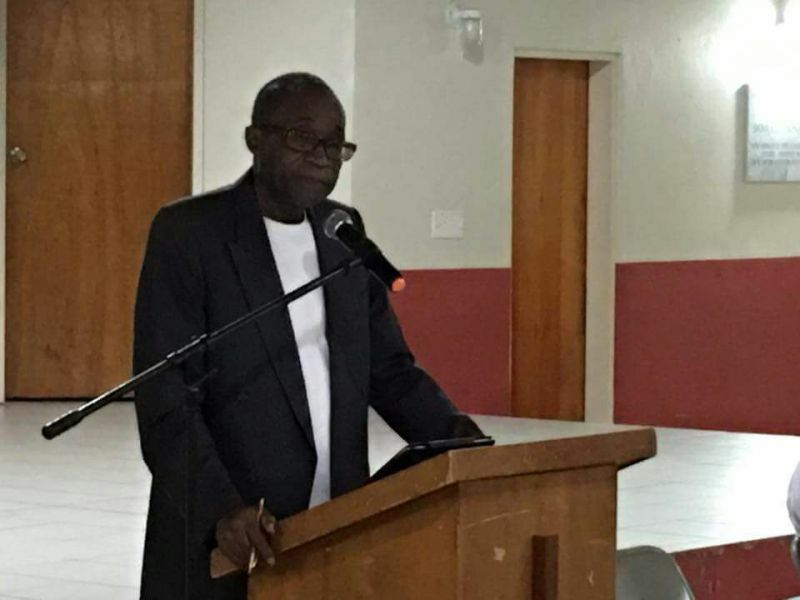 It was October 31, 2016 during the continuation of the Second Sitting of the Second Session of the Third House of Assembly (HoA) that Dr O’Neal complained of being left in the dark by his own Government on land issues surround the proposed Greenhouse Project for Virgin Gorda. The NDP Government has since scrapped the project for Virgin Gorda and has decided to move forward with the project on Tortola. There is a mad dash/rush with 25 big trucks (loaded with asphalt) and 4 barges to pave anegada road for the lobster fest. That road paving will not stand up because the soil is saturated with water. Only Fraser has the guts to hold a meeting in VG by himself. Because Fraser is not a Lagger, Lagger Flip Flopper like the rest of you know who. better O'neal had go with Julian to host the meeting. @LOL, I agree with you 100%. Makes O'Neal look bad and like he don't care. I know for a fact that the 9th district regret not voting for All Out and the VIP. say one say two the NDP will return to office as the VIP is weak..where was Fahie last night? First find your own screen name. Second, in your dreams NDP will get elected again. Next Election, any NDP come to my home with the fake S()t, I am going to stone them and set my cross ram goat after them. You have be cracking up with laughter with the cross ram goat. They use him for what they wanted and kicked him to the curb. He should have seen it coming from a mile away. He is at the bottom of the totem pole. I like Fraser style, he could care less who district it belongs to, he was copied in on a letter and he's addressing it. We can't really blame Bertie for everything either cause he went in office and met these issues. Poor Bertie, his colleagues only had him there to take a seat and that's it. They needed as many seats as possible. Now let me get on Bertie case bout what he has control over. Why you don't respond to people letters, messages, etc...? Why you ALWAYS missing in action de man? What's going on with the crown land? Kudos to hon fraser for going into the 9th all by himself, despite the inclement weather and listening to the problems that the NDP are ignoring. That was very bold of him. He is a fighter for the people. He got us cheaper water and cellphone rates. Thank you liberator! Yassssssss, Fraser is the man. NDP act like we the people is beneath them. They act fake and lie when election is near. However, you live and learn. They got us the last time but not next time. Honestly. Disrespect. Why all the disrespect don't switch party. O'Neal.. Alvera..Delores. Switch, Mark did it. Trust me their chances would be better of remaining their seats. Next election we vote against all NDP. Poor Bertie is as irrelevant as Archie, Alvera and the others. The whole NDP backbench has been rendered toothless and nutless by their colleagues in Cabinet. Some of them getting work done tho..obviously you dont know whats going on..
God bless the Hon. Fraser for he is dealing with the issues facing the ppl of the VI. He had warned us about what was coming, but we didn't listened, now deeds guyz walked right in the trap laid by JD now Ronnie balling about it. England is now about to strike on the NDP. And I hope London strike the NDP stuck up behinds goodddddddddd. Our poor people. They do not understand the times or the season, here wishing white men to come and rule black people in this day and age. It is nothing less than that. Say it plain without flourish. People in the VI are wishing to go back in slavery. Sell your sons and daughters, but not mine. I am fighting all the way to independence day.